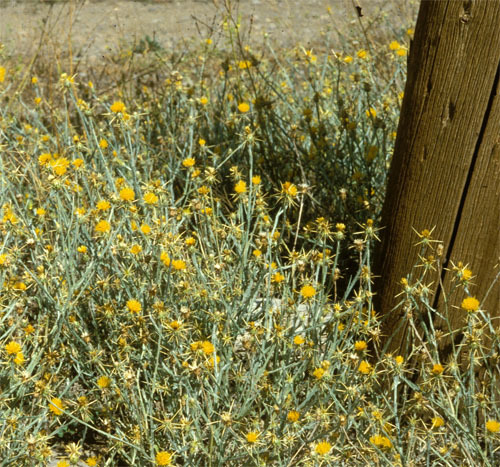 Yellow starthistle is native to the Mediterranean and North Africa. It probably came to North America as a contaminant in alfalfa seed around 1849. This species invades native plant communities and reduces biodiversity, wildlife habitat and forage. 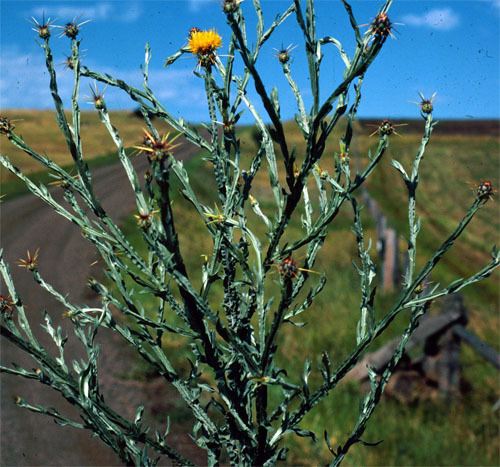 It replaces important forage vegetation and reduces rangeland values. It has also shown to be very toxic to horses. 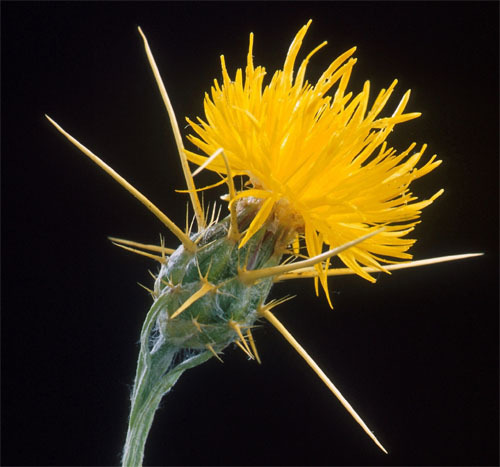 Yellow starthistle has bright yellow flowers and bracts with very distinctive long spines. The stem leaves are linear and the basal leaves are deeply lobed, often with a large end lobe. Stem leaves grow pointing upwards and blades of the leaves extend down along the stem creating vertical wings along the stem. The leaves and the stem are covered in hairs and are grey-green in colour. The plant is a winter annual or biennial that grows up to 150 cm tall.